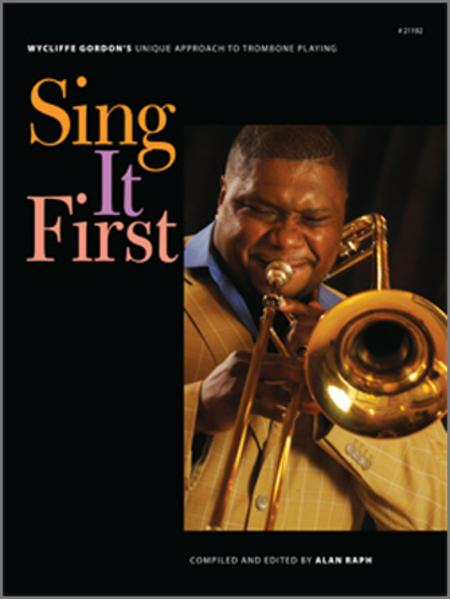 This exciting book by renowned jazz artist Wycliffe Gordon (www.wycliffegordon.com) explains his unique approach to trombone playing -- Sing It First. Perfect for classical and jazz trombonists, it is compiled and edited by trombonist Alan Raph. Wycliffe openly discusses the techniques that he has used regularly in his playing to achieve great success. Topics include warm-ups, style, embouchure and aperture, articulations, very high notes, endurance, velocity, and much more.